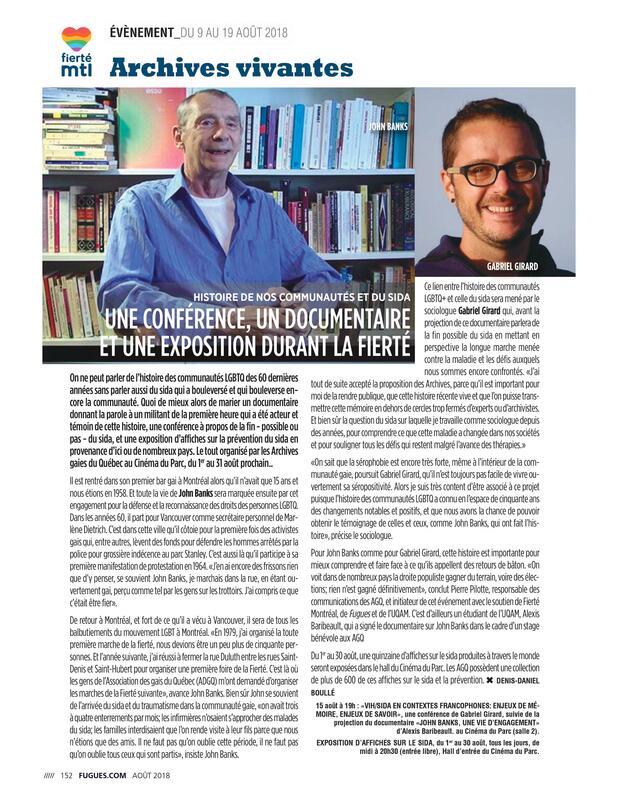 In its edition of September 15 2018, L’ITINÉRAIRE magazine devoted extended coverage, including its front page, to the Quebec Gay Archives. 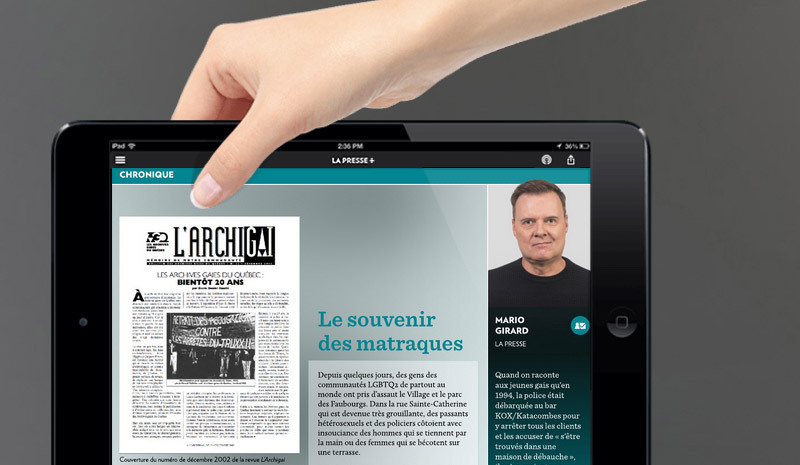 On the cover of L’ITINÉRAIRE, “35 ans d’histoires gaies (35 years of gay history)”, and inside “Patrimoine, Plongée dans les Archives gaies du Québec (Heritage – an excursion to the Quebec Gay Archives)” an article by Camille Teste, with 19 photos including 3 by Alberto Reyes Zamora. Photo Credit: Alan B. Stone, « Modèle simulant le lancer de poids » (Mike Mangnione), october 1962. 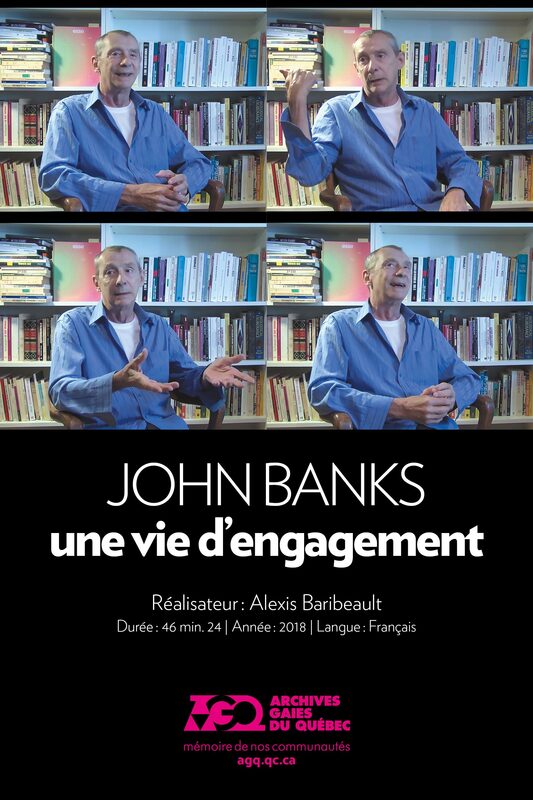 Source: Fonds d’archives Alan B. Stone – AGS 62 / AGQ. All rights reserved. 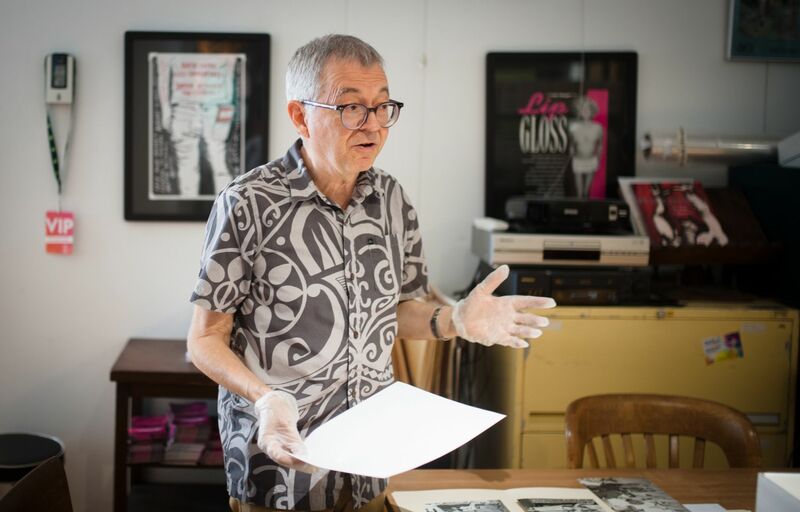 On June 11 Jacques Prince, president and co-founder of the Quebec Gay Archives, was invited to speak on France’s Radio Nova along with Pierre Pilotte, Archives coordinator. Hosts Edouard Baer and Camille Diao spoke to their guests from their open-air studio at the Francofolies festival. Radio Nova’s morning show Plus près de toi attracts a daily average of 500,000 French listeners and, with this week’s visit to the Francofolies, took the opportunity to invite local social and cultural figures to the show. 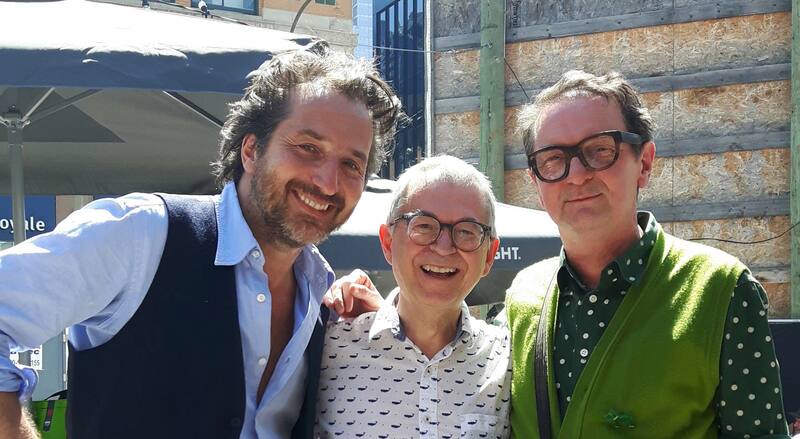 From left to right : Edouard Baer, host (actor and director), Jacques Prince (president and co-founder of the Quebec Gay Archives) and Pierre Pilotte (Archives coordinator). Photo : Camille Diao (Radio Nova).